How to install Ubuntu Tweak in Ubuntu? 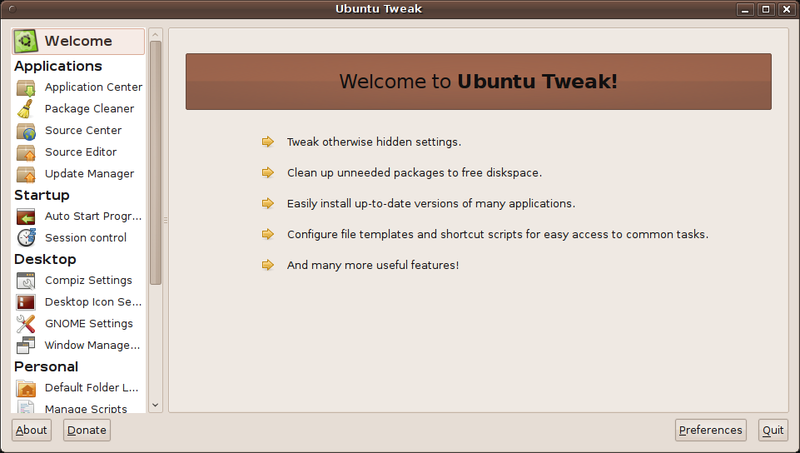 Ubuntu Tweak is an application using which you can tweak various settings in Ubuntu among other things. Ubuntu Tweak 0.5.0 was released a few days back with a new interface and some new features. In this post we will show how to install Ubuntu Tweak 0.5 in your Ubuntu system. Ubuntu Tweak 0.5 is not available for releases of Ubuntu before 9.10. So, you need atleast Ubuntu 9.10 to install Ubuntu Tweak.